The town of Locke has taken Amish families into county court over violations of a junkyard ordinance, a mobile home law and building permit requirements. Amish contractors haven’t been able to work for non-Amish customers because Locke requires insurance the Amish builders refuse to buy. The town took to court one Amish couple, Erwin and Melinda Hostetler, for altering a building without a permit, for using mobile homes (which house chickens) without a permit and for keeping junk and trash around their house. Locke doesn’t allow agricultural use of mobile homes. Erwin Hostetler, 50, moved from southern Pennsylvania five years ago. He said he is improving his 47-acre homestead and working as hard as he can. He has no grown children, no sons. Sitting at a kitchen table inside a bright, woodstove-warm kitchen, he lit a small Phillies cigar and said he needs to cut back his operation. He raises sheep, goats, chickens, horses, pigs, and puggles, a pug-beagle mix. He builds furniture and has a greenhouse that jumpstarts the family’s big garden. As he speaks, his wife Melinda, cores peppers at the sink. His 4-year-old daughter, Emma, speaks to a puppy in German. Locke’s requirement of a mobile home permit for his chicken trailer is something he didn’t face in Pennsylvania, he says. After receiving his first junkyard notice from the code enforcement officer, he said, he called the officer several times to ask what to move to put his property into compliance. He got no reply. Other Amish say they are irked by the way the town notifies them about violations—mailing orders or serving court summons. Amish prefer face-to-face discussion of issues, they say. The lengthy article focused on the town of Locke’s building permit requirement that all contractors have liability insurance. The common understanding being that state law requires it. Amish builders do not participate in insurance of any kind. It is against their religious beliefs. So the town and the Amish (and the people in the town who want to hire the Amish) are at odds. It turns out that Locke’s insistence on liability insurance has no legal basis, the Post Standard’s research found. No state law requires liability insurance for contractors, and Locke does not have a town law requiring it. The town has called a special meeting at 7 p.m. Wednesday to address liability insurance. The article concluded with a quote from the Amish group’s leader saying that they did not want to leave the area, but if they continued to have problems the families would have to leave. Pastor Weed explained that the Amish will not defend themselves in court. They would just leave the area, and he expressed strong concern about how the Amish were being treated. Then he said something that no one expected. He said he would not be in church for Wednesday evening Bible study because he was going to the special meeting. And, more than that, he said he intended to hire, and personally pay, for an attorney to defend the Amish if it proved necessary. Them's was fightin’ words based on righteous indignation. I decided then and there that I would also be at the meeting on Wednesday. I’ve written here before about how I became involved in Republican Party politics because I wanted to make a positive difference. But, after a few years, I came to realize that I was not going to make any difference. The party system, Republican and Democrat, is less about principle and doing the right thing than it is about money, power, special interests, and patronage. It is rotten to the core. Even the best of men, with the best of intentions are sucked into the rottenness of the system. At the very least they are forced to compromise formerly-strong convictions about what they once understood to be right and wrong. Yes, I am cynical. I’ve been far enough inside the beast to know it is out of control and does not serve the best interests of America. Only in the rarest of instances, and against all odds, does such a public servant remain in political office for any significant length of time. Only in the rarest of instances does such a man press on for years, steadfast in his principles. And only in the very rarest of instances, especially in modern history, does such a man run for president of the United States of America, and actually have a chance of achieving that position. I firmly believe Congressman Ron Paul of Texas is such a rare man. Even the most politically cynical of citizens can not help but be encouraged by Ron Paul’s candidacy for our country’s highest office. Which is to say, I am encouraged by the very real possibility of Ron Paul actually winning in 2008. In fact, with the Iowa and New Hampshire primaries looming large on the horizon, I’ve done something I have never done before. I’ve done something I thought I would never do. I contributed money to the campaign of a presidential candidate. I have known about Ron Paul for 20 years. I have known him to be a champion of limited, Constitutional government, individual freedom, and a sound money system. Ron Paul is an honorable man, an intelligent man, a man of integrity, and a brave man. He is not a perfect man and therefore not a perfect candidate, but his track record clearly shows him to be a truly exceptional person who, I believe, can be trusted to do the right thing if elected to office. I have a friend who has a lot of high level political experience. He is very astute. He loves Ron Paul. He believes he is, by far, the best candidate for President. But he says it is a virtual impossibility that Ron Paul will be elected. My friend says Paul’s appeal is with the left and right fringes. He says the vast political body between those fringes is part of the “bread and circus” crowd. He insists they will not vote for Paul. He says Guiliani, Romney, Obama, and Clinton are part of “bread and circus” politics, and he believes Obama will prevail. That kind of talk gives me a sick feeling in the pit of my stomach. I fear that my friend may be right. I fear that America will end up with the President it deserves, not the President in needs. Nevertheless, I hope and pray for something amazing to happen in this next election, something that defies all the odds. It would be a flat-out miracle if Paul were to win this next election. But I believe in miracles. Iowa and New Hampshire are the first arenas of battle and they are critically important. Paul must do well there. He can do well there. Fact is, he actually appears to be doing well there. If this man is willing to fight the good fight, against the odds, I will stand with him. I have supported him with my money. I am supporting him with this essay. Before the end of the year, I will probably contribute again. If nothing else, my sons will know that I did something to try and help make a difference in this election. I supported a decent, godly man in a battle for right, against all the odds. This might well be the last opportunity for a long time to get such a good man into this office. I urge you to check out the Ron Paul 2008 website. Read where Paul stands on the issues. Contribute money to help in the battle. Talk to your family and friends about him. Spread the word. Miracles do happen. I have been growing garlic and processing it into wholesome, delectable garlic powder as a business for several years. It is hard work but something I enjoy doing. Few people in the world have ever tasted pure garlic powder made from stiffneck garlic varieties. You can’t buy it in the grocery store and there are precious few small-scale producers like me out there. I usually have my powder ready to sell before Thanksgiving. I’m late this year. But better late than never. If you would like to experience a rare, special, and totally wholesome culinary delight, I invite you to get yourself a jar of this year’s powder. How, you might wonder, do you use it? Well, the number one way my family enjoys the powder is on hot, buttered toast. Something magical happens when good garlic powder and butter come together. 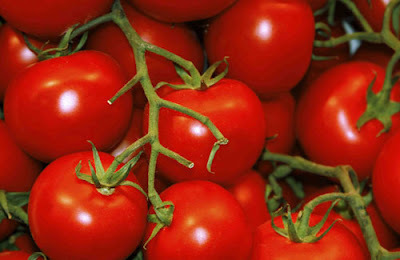 Shake the powder on pizza, casseroles, spaghetti, soup, salads, sandwiches, and even corn on the cob. Use your imagination. Savor the experience. 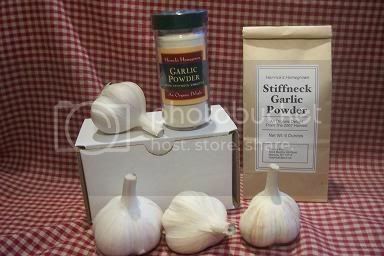 And keep in mind that a jar of Herrick's Homegrown Stiffneck Garlic Powder makes a great gift. My brother-in-law buys ten jars every year to give to friends and business associates at Christmas. It's a unique, down-to-earth treat. Unfortunately, this year’s garlic powder will be the last for at least a year and maybe more than that. I have been growing my garlic crops on my next door neighbor’s property. It was good land and very convenient for me. But he sold the property and moved away this last fall. I have lost my use of the land and did not plant a crop of garlic this last fall. The small acreage I now live on does not afford me enough room to grow a large crop of garlic. Besides that, I need to free up some time to build up my part-time business, Whizbang Books. The business is making money and I am saving with the idea of one day purchasing more land, debt free. That is the dream. That is the goal and, God willing, I will achieve it one day. That said, I have processed my normal amount of garlic bulbs, and the garlic bulbs I would have used for seed stock. So, for now, I have lots of powder, and I am offering it for sale here. Based on past experience, it is not likely this garlic powder will be available after December of this year. The supply is limited and I always sell out within a month or two. The cost of packaging and shipping is a flat rate of $7 for any size order. If you would like to read all about how I process my garlic into powder, you can do so by going to this link: Making Great Garlic Powder. That link will also take you to several other internet essays about garlic that I’ve written. For example, you can read and see exactly how I planted the garlic that this year’s powder is made of. Those of you who have read this blog for long know that I grow garlic and I process it into garlic powder, which I sell to garlic lovin’ folks all over the country. I’ve been doing this for several years and it’s a nice little home business. You can make garlic powder on a small scale for yourself, as gifts for friends and family, or as a small home business like I do. After nearly 5 years, and thousands of views, I have decided to repackage this photo tutorial into an inexpensive ($1.50) pdf download. Please read the comments from people below, and then you can promptly get a copy of the download by clicking here: How To Make Your Own Garlic Powder Photo Tutorial. For a broader discussion about making great garlic powder, I recommend my book, The Complete Guide To Making Great Garlic Powder: Homegrown and Homemade Secrets From a Garlic Powder Guru. The book has been out of print for a few years but is now available as an inexpensive pdf download. Click the link to learn more. Charles Haddon Spurgeon was a Reformed Baptist preacher who lived from 1834 to 1892. He was a prolific writer and certainly had a way with words. I have recently discovered his book, John Ploughman’s Talk and I am thoroughly enjoying it. The book is chock full of pithy zingers, many of which are agrarian in nature, and written for the common “ploughman” of his day. However, his down-to-earth observations and admonitions are timeless. Here is part of what C.H. Spurgeon writes in the introduction of John Ploughman’s Talk. "You know we are obliged to plow with such cattle as we have found for us; but when I am set to work with some men, I'd as soon drive a team of snails or go out rabbit hunting with a dead ferret. Why, you might sooner get blood out of a gatepost or juice out of a cork than work out of some of them; and yet they are always talking about their rights. I wish they would give an eye to their own wrongs, and not lean on the plow handles"
"Many of our squires have nothing to do but to part their hair in the middle; and many of the London grandees, ladies and gentlemen both alike, as I am told, have no better work than killing time. Now, they say the higher a monkey climbs, the more his tail is seen; and so, the greater these people are, the more their idleness is noticed, and the more they ought to be ashamed of it. I don't say they ought to plow, but I do say that they ought to do something for the state besides being like the caterpillars on the cabbage, eating up the good things; or like the butterflies, showing themselves off but making no honey. I cannot be angry with these people somehow, for I pity them when I think of the stupid rules of fashion which they are forced to mind, and the vanity in which they drag out their days." "The ugliest sight in the world is one of those thoroughbred loafers, who would hardly hold up his basin if it were to rain with porridge; and for certain would never hold up a bigger pot than he wanted filled for himself." "I don't like our boys to be in mischief, but I would sooner see them up to their necks in the mud in their larks than sauntering about with nothing to do." "My advice is, if you don't like hard work, just pitch into it, settle it off, and have your turn at rest." "I wish all religious people would take this matter under their consideration, for some professors are amazingly lazy and make sad work for the tongues of the wicked. I think a godly plowmen ought to be the best man in the field and let no team beat him. When we are at work, we ought to be at it, and not stop the plow to talk, even though the talk may be about religion." "If some of the members at our meeting were a little more spry with their arms and legs when they are at labor and a little quieter with their tongues, they would say more for religion than they now do." Shame! Shame on the Pennsylvania Department of Agriculture! Effective Jan 1, dairies selling milk in Pennsylvania, the nation’s fifth-largest dairy state, will be banned from advertising on milk containers that their product comes from cows that have never been treated with rbST, or recombinant bovine somatotropin. The product, sold by St Louis-based Monsanto Company under the brand name Posilac, is the country’s largest-selling dairy pharmaceutical. It is also known as recombinant bovine growth hormone, or rBGH. It has been approved for use in the US since 1994, although safety concerns have spurred an increase in rBST-free product sales. The hormone is banned in the European Union, Canada, Australia, and Japan, largely out of concern that it may be harmful to heard health. Rick North of the Oregon Physicians for Social Responsibility, a leading critic of the artificial growth hormone, said the Pennsylvania rules amounted to censorship.“This is a clear example of Monsanto’s influence,” he said. “They’re getting clobbered in the marketplace by consumers everywhere wanting rBGH-free products. Monsanto spokesman, Michael Doane, is wrong. Milk from cows injected with his company’s Genetically Modified growth hormone is Bad Milk and milk from rBGH-free cows is Good Milk. The rest of the world knows this. They don't want rBGH milk. The people of America don't want rGBH milk. But Monsanto wants Americans to have rBGH milk. Consumers have a right to know what is in their food, where the food came from, and how any animals that produced the food are treated. But BigAg (of which Monsanto is a major player), do not want people to know. And as this ruling in Pennsylvania shows, Mosanto will use its considerable political clout to protect its profits. It's all about money to them. The Lancaster Farming article states that, in banning rBGH labeling, the Pennsylvania Department of Agriculture “is acting on a recommendation of an advisory panel.” Oh? Really? Who are the people on this panel? What are their ties to BigAg? How much money has BigAg pumped into the campaigns of politicians who have helped to influence this Department of Agriculture ruling? We will never know. But you can bet these things are happening behind the scenes. Anyone who has been involved in the poilitical process or worked for government knows this is how it works. According to the article, Pennsylvania is the first state in the country to ban rBGH-free labeling on milk sold to consumers. Other states may shortly follow the lead. People often believe what they want to believe, regardless of facts and reality. I have been guilty of this in the past and so have you. The effects of wrong thinking, based on ignorance or misinformation can be minor and harmless, or significant and downright dangerous. This is true for individuals, families, communities, and nations. Peak Oil is one of those significant and downright dangerous things that so few people in this country understand or, upon hearing of it, want to believe. Much of the small talk around the proverbial water cooler at my workplace is about the high price of gasoline. People blame the high prices on greedy oil companies. They blame the high prices on George Bush. I can’t and won’t defend international corporations and the politicians who assist them in their destructive practices. But there is something much bigger going on here. Virtually no one understands that worldwide oil production is dropping while worldwide oil demand is rising. If I attempt to explain it, people change the subject. Denial is a normal human first response to the news of inevitable death. Those rising gasoline prices are hard to ignore. The industrial era, fueled primarily by cheap crude oil is drawing to a close. That is my conclusion. But you should look at the information and decide for yourself. Really. You should. "Each transition [will] cover, on average, three-four years...[T]he only transition we can see rather clearly is T1. It is clear that T1 will witness the tilting of the 'oil demand' and 'oil supply' scales"
"My World Oil Production Capacity model has predicted that over the next 14 years, present global production of 82 million barrels per day will decrease by roughly 32%, down to around 55 million barrels per day by the year 2020." My friends, if we are about to experience a 32% decline in worldwide oil production over the next decade, there is no question that life as we have known it in the industrial world is about to change in very dramatic ways. Translation: we are, by default, about to begin transitioning back to some sort of agrarian civilization, back to a way of life that was the norm prior to when we became oil “addicted” and dependent. The good news in all of this is that, at least in Bakhtairi’s analysis, there is still time for wise people to make voluntary adjustments in their lives in order to be better prepared for the inevitable changes. 1. Simplify. Downsize. Make do with less. Eliminate as much debt as possible. 2. If you are in a city, move to a rural area. Position yourself in a place where people have the land, the resources, and the inclination to help each other. Become part of a local church. Build relationships. Be a good neighbor. Weave yourself into the woof and warp of the community. 3. Learn and practice the traditional skills of self-sufficient agrarian people. Foremost among these skills is the ability to grow and preserve your own food. Learn by reading, asking others for help, and doing. 4. Begin to acquire the tools of self-sufficiency. Foremost among these tools are implements used to grow, gather, and preserve food. Some will say this blog essay is a doom & gloom, head-for-the-hills alarmist reaction. Thoughts of the Y2k crisis that never happened come to mind. Peak oil isn’t being talked about in the mainstream news outlets (that I am aware of). If it was really that bad, it would be in the news more, wouldn't it? In short, the Peak Oil naysayers assert that there is no such problem as Peak Oil. They say the whole thing is a contrived scam, a conspiracy to destroy the American economy and make us subservient to diabolical powers. I won’t argue that. They might be right. I really don’t know. Day before yesterday was Saturday. I dragged myself out of bed that morning at 4:15am and stumbled into my kid’s bedroom. I gave my sound-asleep thirteen year old son, James, a wake-up nudge. Not even two seconds later his eyes blinked wide open and he practically sprang out of bed. With a big smile on his face he gave me a thumbs-up and headed downstairs for some breakfast. The boy was raring to go. It was to be my son’s first day hunting geese. He was going with someone who is an experienced goose hunter. Which means, alas, he wasn’t going with me. James was going hunting with a man named George, who is an avid sportsman. George and his wife, Sandy, have been good friends of our family for a long time. They are Christians. They are agrarians. They are homeschoolers. Their youngest son is about the same age as James. But, unlike James, he isn’t interested in hunting. James told me George’s son thinks hunting is boring. I drove James to George and Sandy’s log cabin home located about 15 minutes from our place. George outfitted him with a 12-gauge over-and-under shotgun. They headed out in George’s pickup to meet with another man, Tom, his six-year-old son, and Gunnar, a black lab birddog. Before daylight, the hunting party had set themselves up a few rows inside a corn field. They were sitting comfortably in folding camp chairs. In front of them was an alfalfa field with a pond. They set decoys up in the field. Obscured by the corn and some camouflage netting, they waited for daylight. It was a frosty-cold November morning but James was dressed for it. Picture this: He had on my military surplus “Mickey Mouse” boots (waterproof and incredibly warm, though a few sizes too big for him), insulated Carhart pants, a military surplus wool sweater, Belgian military parka with hood (the coat hung down well below his waist), my insulated deerhide gloves (the best winter gloves I’ve ever owned), and a well-worn, all-leather, WWII aviator’s cap (surprisingly warm). The geese came in batches, from all directions and many gathered on the pond. Tom was using a call. None of the birds came within shooting range. Then, around 8:30 some geese flew over low enough to shoot. George downed two of them. At the sound of the shot all the geese that had gathered on the pond took flight and headed directly over the hunters. Tom shot two. James shot twice at the last goose to pass over. His second shot brought it down. Before he went hunting, I wondered if James would like it. I thought he might find it too boring or too cold. But that wasn’t the case. James had a great time. He loved the whole experience. My son returned home later in the afternoon, goose in hand. Well, not exactly all the goose. I guess it is customary to cut out only the meaty portions of the bird (breast and legs). So he had a plastic bag with red meat. I never realized wild geese have red meat. The next day (Sunday morning) George and Sanday sat next to us in church. I thanked George for taking James hunting. I figured one hunting session with James would be enough for George. He said they had a good time and, to my surprise, wondered if James could go out hunting again the next morning. It sounded good to me. That afternoon Marlene cooked the goose (Sandy told her how after church). She sliced the cooked meat into slivers and we all tasted it. On James’s first bite, he chomped down on a small piece of steel shot. Other than that hazard, the meat tasted pretty good. I think it would be better with some sort of sauce. Perhaps some of the chutney Marlene canned a couple years ago (I’ll have to see if there is a jar left in the pantry). This morning (another frosty one) James was back in the field hunting. The corn had been harvested so they tried a ground blind. No luck. Then he and George went back home for a canoe and headed out to a few special locations. George said he could tell his mom and dad where they went but not anyone else. Hunters like to keep their best hunting locations kind of secret. They ended up canoeing slowly up a stream that went into a swamp. George, in the back, paddled, while James was in the bow, gun at the ready. They saw some ducks and geese but none close enough to shoot. James and George hunted for just about the entire day. They didn’t get a single bird, but James sure did have a good time of it. While most boys his age were in government school, James was out hunting in the wild. That is the beauty of homeschooling a boy. Flexibility. When something more important comes up, you just go do it. Some who read this may be wondering why I wasn’t hunting with my son. I could have and perhaps I should have, but I decided against it for a specific reason. I wrote about it somewhat back in three 2005 blog essays: A Son’s Identity, A Son’s Identity (Part 2), and A Son’s Identity (Part 3). Those essays were about providing wholesome role models for boys. I asserted that fathers should be wholesome role models, but that fathers should also help their sons to find other role models. My friend, George is a fine role model. I know him to be a man of integrity and strong Christian conviction, in addition to being a knowledgeable sportsman (something I am not). There is something else associated with this matter of shaping a boy’s identity that I know I’ve mentioned here before but can’t recall where it was. I believe it is very, very important that a boy, as he gets older, develops wholesome interests and skills that are his alone within the family. He becomes the specialist in this particular area of expertise; the resident expert. When this happens, the boy develops self-esteem and confidence, and it leads him to become more independent. Independent at 13 years old? Well, yes, to a degree. Slowly but surely we want our sons to learn skills, acquire wisdom, and develop confidence so they can one day leave to establish their own family. I hope they won’t leave too far, but that’s another blog subject for another day. And if I had girls, I would not want be training them for independence (and that’s a blog I will let someone else write, since none of my children are girls). In the final analysis, James is actively pursuing a healthy interest. He is learning about how to build blinds, how to call geese, how to position the decoys, how to cut the meat off the bird, and much more. He is now the goose hunter of the family. And someday I will go goose hunting with him. When I do, he will be able to teach me how it’s done. That’s something I’m looking forward to.